Over the last decade social media usage in the US has increased by nearly 60%. With over 2.3 billion active users globally, and thousands of new people joining every day, it’s not hard to see why social media has become one of the most effective marketing platforms available. But while there’s been huge growth in usage, there’s also been a tremendous influx of social media platforms and apps. How do you know which ones are here to stay and which ones will fade away? Posting to social media can be very time consuming, so it’s a crucial aspect of any successful marketing strategy to be able to determine which social networks are worthy of our time and attention. You can start by looking at the numbers. It’s probably not surprising to hear that Facebook dominates the field as the largest and most frequently used social network out there. It might surprise you though, to discover that Instagram follows Facebook as the second most frequently used social media outlet worldwide. Not only is it the second largest social media platform in the world, but it also far surpasses Facebook in annual growth rate, with a nearly 40% increase over the last two years. In addition to its impressive growth rate, a recent Forrester study discovered that Instagram blows every other social network away when it came to user engagement. In fact, the study found that Instagram delivered 58 times more engagement per follower than Facebook, and 120 times more engagement per follower than Twitter. Projected to maintain this level of growth over the next few years, it’s a wonder why more businesses don’t incorporate Instagram into their marketing mix. 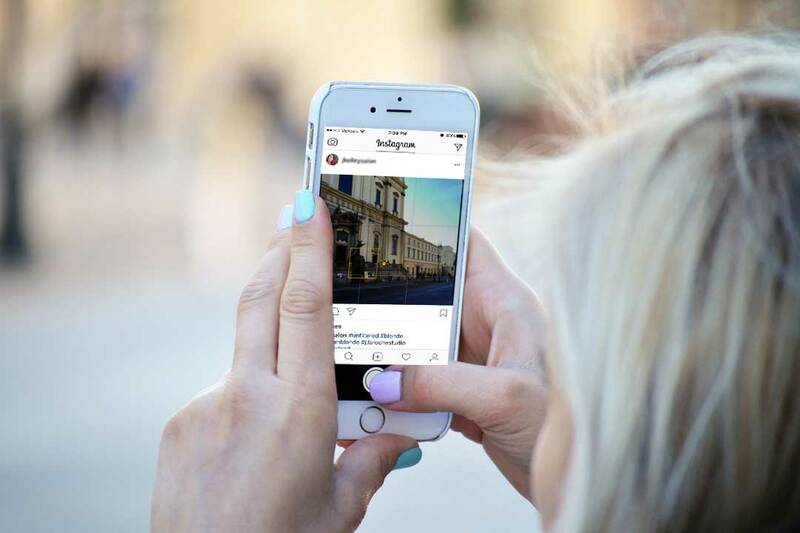 If the numbers alone haven’t convinced you, here are five additional reasons to incorporate Instagram into your marketing strategy. 1. The rise of the mobile app. With the exception of a few flip-phone holdouts, it’s hard to find anyone these days without a smartphone. In fact, a recent study by Flurry Mobile suggests that U.S. mobile phone users spend approximately 90% of their internet time on mobile apps. Mobile usage appears to be quickly overtaking desktop usage, which puts social networks like Instagram at quite an advantage. Unlike many browser-based platforms such as Facebook or Twitter, Instagram was born as an app which gives it the upper hand over other social networks that later adapted mobile friendly versions. Due to its intention as an app, Instagram’s design remains very user friendly without confusing members with the use of different layouts across multiple platforms. 2. It’s all about the visuals. Our society today is more visually oriented than ever, and we want our information to be delivered to us as simply and directly as possible. When it comes to good marketing, its all about the visuals. Instagram is perfectly designed for just that. Unlike Twitter, which limits image size, or Facebook that may put the description or text before the photo which reduces the likelihood of user engagement, Instagram was designed with the intent to make images the main focus of the social network. Instagram is virtually effortless to use. The design is set up so that users can only view one image at a time, making it far more manageable than a Facebook news feed. This not only increases the likelihood of user engagement, but directly translates into more views, more likes and essentially more product exposure. 4. Write as much as you want. Instagram has no character limit, leaving room for a full and unfiltered product description. Instagram, however, continues to keep its primary focus on the visual aspects of a user’s post, which means that viewers are able to see a brief description of the image with the option to read more if desired. Images, therefor, aren’t overshadowed by text, as is sometimes seen on other social media platforms, allowing the social network to remain visually dominant. 5. Flexible and customized content feed. With features like ‘Search’ and ‘Explore’ tabs users are exposed to posts they’re interested in. Users can use hashtags and likes to narrow their interests or view the posts and products that are new or trending. These basic features can be utilized as effective and easy-to-use marketing tools. And if that’s not enough, Instagram has introduced features that are specifically aimed at small-to medium-sized businesses. These new features work to promote the businesses, build profiles, and provide insights into the effectiveness of each post. Instagram has huge growth potential, for both businesses and individuals. If your marketing plan doesn’t yet include the use of Instagram as a social media platform, it might be time to reconsider.